San Francisco is a town that cares about coffee. If money disappeared tomorrow, a nice bag of roasted beans would be worth at least a free range (plucked!) chicken, maybe more. 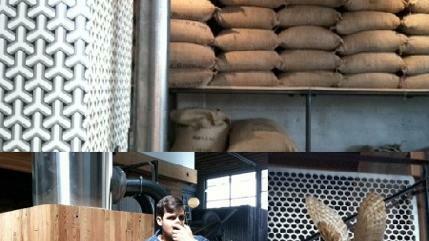 Still, I was surprised to see Sightglass Coffee charging $5 for a cup of joe. I guess I shouldn’t have been. How else would they pay for the David Hicks wallpaper and owl taxidermy?